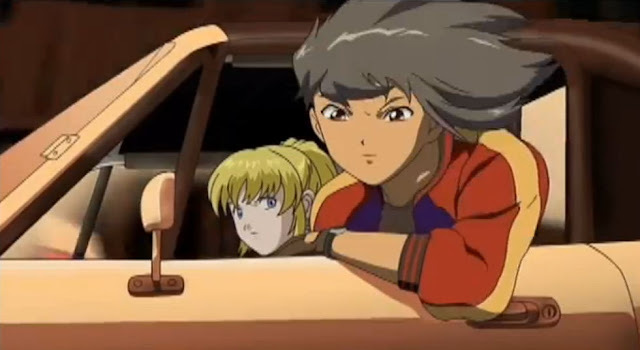 éX-Driver is a Japanese Manga series created by Kōsuke Fujishima which formed the basis for an anime series produced by Bandai. 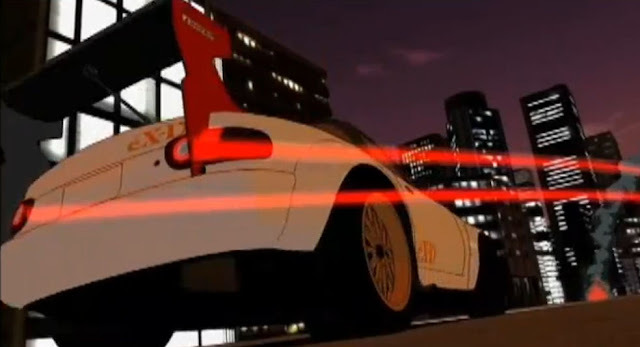 There were six episodes and a feature length movie simply called "éX-Driver: The Movie" originally released in 2002. 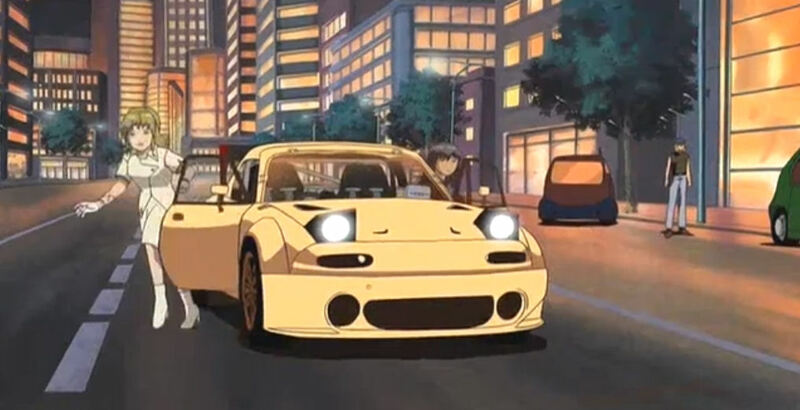 The series is set in a not-too-distant future where cars and highways are controlled by computer AI and nobody knows how to drive older manual cars anymore. Except of course the drivers of the éX organisation, who are called on to investigate the mystery of the AI cars going out of control and endangering people. éX-Drivers favour older cars and the series features such vehicles as the Lancia Stratos, Caterham 7, and Lotus Europa. It's an interesting premise what with the advancements in car on-board computer technology and the fact that driverless cars have already taken to our roads in various trials. The plot represents a "What if?" scenario of technology going out of control. The movie of the series is notable for featuring a prologue to the main feature called "Nina & Rei Danger Zone". 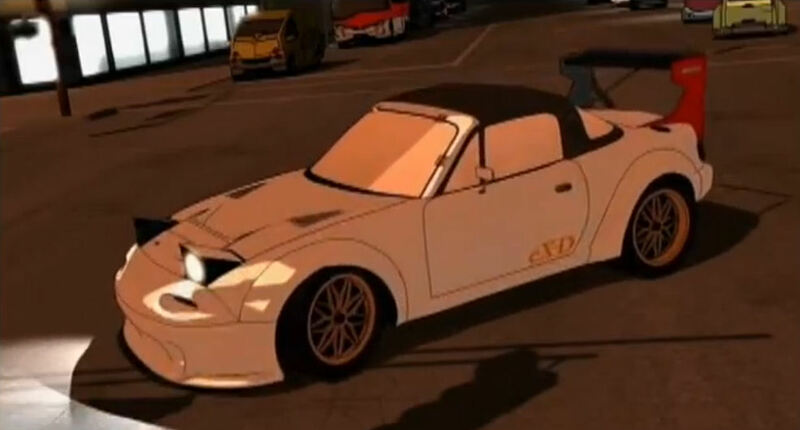 The interesting bit about Danger Zone is that it features as the hero car a highly modified white NA Roadster driven by éX-Driver Nina and co-driver Rei who operates the car's various systems. 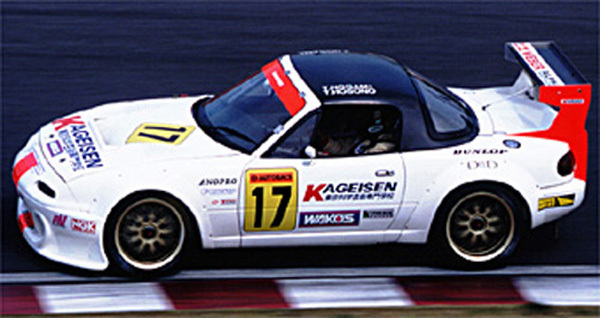 In a piece of inspired product placement, the car is a replica of the 1997 Nopro JGTC GT300 no.17 racecar. The car in the anime features the same colour scheme, Nopro's widebody GT kit, as well as a supercharger, turbo, and nitrous injection. You can watch the whole prologue episode and see the Roadster in action in the video below. In this English dub you may recognise the captain's voice actor as Richard Epcar aka Batou from Ghost In The Shell.